Vera Bradley presents the Seaside School Half Marathon & 5K Run beginning and ending in Seaside, Florida in South Walton. 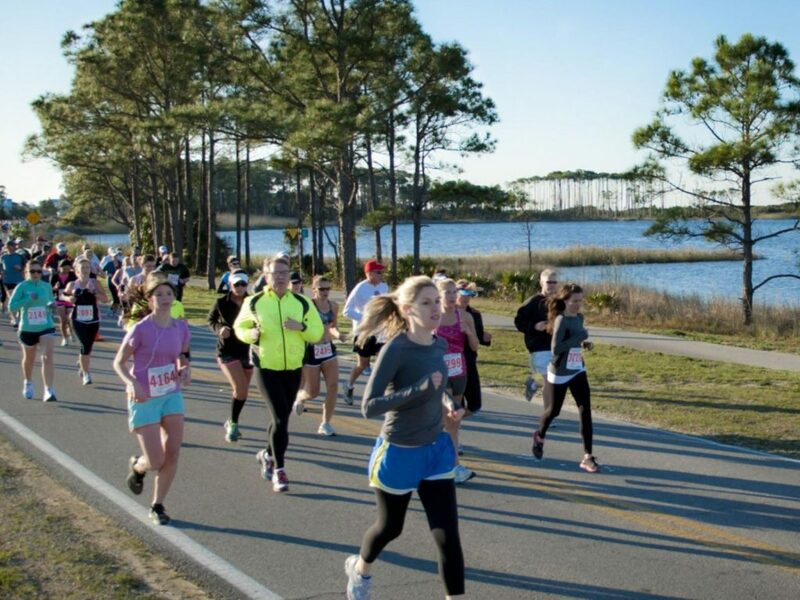 Celebrate this wonderful gathering of runners from 48 states as you pass quaint beach towns, dune lakes, and of course, the beautiful beaches. On Friday, eat and drink the night away at the Taste of the Race culinary extravaganza with Chef Emeril Lagasse. Featuring the top chefs from South Walton, enjoy a night your taste buds soon won’t forget! All proceeds benefit the Seaside School Foundation. The Race is held the first weekend in March.